Eirian Lewis is the Managing Director of TEAL Consulting, and is an experienced consultant and facilitator specialising in Systems Thinking, leadership, process improvement and change. His focus is the delivery of improved business performance to achieve competitive advantage through people and processes. He has considerable experience in leading and co-creating change to raise business performance. He is particularly interested in transformational leadership, collaborative working and its implications for leadership, and in a time of constant change what can systems thinking offer leaders. Nick has been involved in continuous improvement as both an internal and external Consultant for over 20 years. 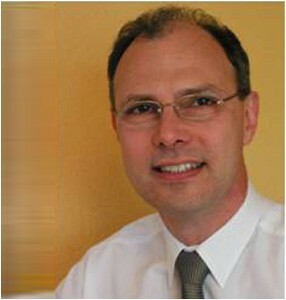 He is a Lean Sensei, Six Sigma Master Black Belt and Certified Personal Effectiveness Coach. Currently Nick is training and coaching project teams from a wide range of industry sectors and at varying levels of improvement maturity on Lean Sigma transformation programmes. Recent private sector clients include The John Lewis Partnership, Morrisons, Taylor & Francis Publishing and Bard Pharmaceuticals. Nick has also helped a number of public sector organisations including New Forest District Council, Guy’s and St Thomas’ NHS Trust and Southwark Council. In most cases these programmes have included the mapping and identification of improvements in areas such as Repair & Maintenance, Payroll & HR and Financial Shared Services. He is particularly interested in the translation of proven improvement principles into the public and service sectors to deliver tangible business results. 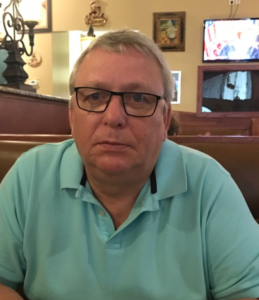 Richard is an Independent Business Consultant with 30 years valuable technical knowledge and experience of project management, analysing and improving processes to ensure efficiency, requirements engineering and subject matter expert individual working within structured methodologies. Superior business analyser adept at seeing the bigger picture and who understands, accepts responsibility, and delivers. Analytical and methodical, stays current on the latest thinking and techniques, continually looking for improvement. A proficient strategist, with a deep understanding of business needs and an adept facility to manage necessary change; capturing, analysing and documenting requirements whilst supporting effective communication and project delivery across a wide range of businesses sectors including health, construction and logistics, recently successfully supported the introduction of ISO18404 to a construction company, with them becoming the first in the world to achieve this standard. Isabelle Iny is an organisation development,change management consultant and trainer with experience in both the private and public sector. She has a particular interest in working with diverse teams and cross organisational partnerships. Understanding the power of organisational culture and informal systems as well as the more formal structures and processes associated with development and change. She has an MBA, a degree in psychology and a diploma in personnel management. Isabelle is a qualified careers advisor and coach and is licensed to use a number of psychometric tools such as MBTI OPQ, Firo b element b as well as a range of 360 feedback tools. 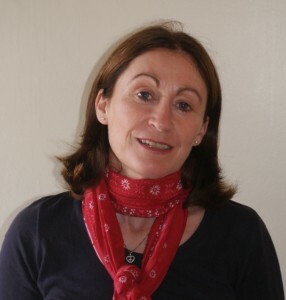 She is experienced in a range of quality improvement techniques including Lean Thinking, EFQM and ISO 9000 and is also a qualified mediator and NLP practitioner. She believes her blend of hard and soft skills enables her to facilitate team dynamics as an integral part of strategy development rather than as a standalone activity. Mark is a highly experienced management consultant who has worked in the private sector and provided consultancy support to both the private and public sectors. He specialises in the leadership and facilitation of business transformation strategies and implementation projects. Mark is a certified assessor for the EFQM Excellence Model and has worked as an assessor and team leader for the Wales Quality and London Excellence award programmes. He is a trained Lean Sigma Green Belt and is certified as a professional facilitator and also as an online facilitator. Mark has a solution oriented style with a very focussed but empathetic approach. His facilitation skills are complemented by deep experience in leading continuous improvement project teams. Mark moved into business management consulting in 2001 having previously had a wide ranging career in British Telecommunications (BT), where his final role was as Director Business Excellence for BT Ignite, BT’s international business services company. He helped transform BT into an award winning excellent organisation. During that time he had several secondments out of the business to support the development of small and medium enterprises in the UK. 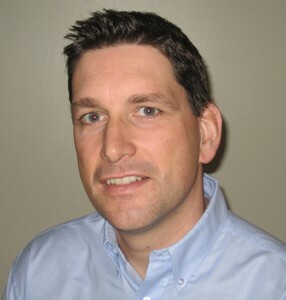 Over the last 15 years, Mark has focused on business management activities. His experience is wide, including leadership, strategy development and implementation, business performance management, programme/project management, client relationship management, and business excellence, including use of excellence models such EFQM Excellence Model. He is particularly interested in developing stakeholder focused organisations and in this respect is a strong advocate of the Performance Prism. He is an EFQM and BQF assessment team leader, mentor and coach, an EFQM licensed advisor and trainer, a BQF registered consultant and trainer, and a qualified IIP examiner and Belbin practitioner. 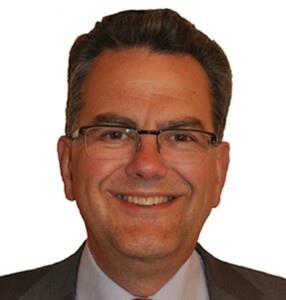 In the late 1990’s Mark was seconded from BT to the EFQM where he led the team that developed the 1999 version of the EFQM Excellence Model. He personally developed the RADAR concept and methodology that was launched with the improved Excellence Model in 1999. Mark remains actively involved with EFQM as a member of their training faculty, an EFQM Excellence Award coach and mentor, and an assessor for their ‘Levels of Excellence’ scheme. Most recently he has been a member of the team that developed the EFQM’s 2013 upgraded Fundamental Concepts, Excellence Model and RADAR. 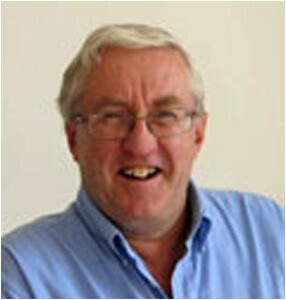 He runs a personal blog at www.realorganisationalexcellence.com in which he shares his knowledge, experience and ideas, as well as those of others. The blog is well regarded with a large following and interesting feedback. John has over 30 years experience in the aerospace industry including 15 years as a Divisional Director for British Aerospace in Engineering, Quality, HR and Project Management. He was responsible for the deployment of the EFQM Excellence Model across the BAe Group and into the supply chain through BAe’s Supplier Excellence Programme. He held leadership roles in multinational teams on collaborative programmes such as Eurofighter and Airbus. As Project Director Benchmark BAe he led a major culture change and performance improvement programme in the company’s military aircraft business. Since leaving BAe in 2001 he has been involved in projects with clients in the aerospace, civil engineering, transportation, education and public sectors. Recent projects include the development of multi-company collaborative teams in the aerospace industry, collaborative behaviour assessments of potential suppliers for Network Rail and support to rail and bus companies in bid preparation, innovation and knowledge management. Pauline has supported TEAL in her capacity as Marketing Co-ordinator for over 13 years. Her role encompasses designing and producing marketing material, managing the website and social media activities, co-ordinating bids and proposals and also carrying out research.